Bilal (born Bilal Sayeed Oliver on August 23, 1979, Philadelphia, Pennsylvania, USA) is a soul musician and member of the musical collective known as Soulquarians. In 2001, his debut album ? 1st Born Second ? was released on the Interscope record label. Bilal's classical training at the Mannes Music Conservatory in New York was instrumental to his conversance with Jazz, voice, and big band arrangements. It has also been reported that he is capable of performing opera in seven languages and writes both music and lyrics. Bilal's classical training at the Mannes Music Conservatory in New York was instrumental to his conversance with Jazz, voice, and big band arrangements. It has also been reported that he is capable of performing opera in seven languages and writes both music and lyrics. In 1995, Bilal encountered Faulu Mtume, and his brother, Damu Mtume (sons to James Mtume and founders of Moyo Entertainment) at a barber's shop in Philadelphia. His plans to produce film scores was shelved after he handed the brothers a demo recording; they were so impressed that they successfully convinced him to record commercially. 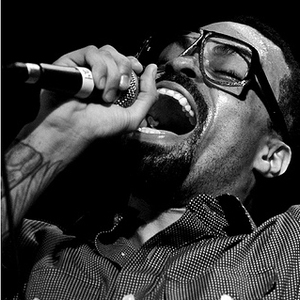 Bilal has also frequently collaborated and performed with several neo-soul and alternative hip hop artists, including Common, Erykah Badu, Talib Kweli, and The Roots. He also covered Radiohead's "High & Dry" for the 2006 Radiohead tribute, Exit Music: Songs With Radio Heads. Bilal appears in Dave Chappelle's Block Party. His sophomore full-length recording, Love for Sale is rumored to have been shelved after being leaked on the internet. Despite no official release as of yet, Love for Sale has become an underground classic.